Dr. Brian Reemtsen is a recognized thoracic and cardiac surgeon in Los Angeles, California. He received his medical diploma from New York Medical College in 1995. After getting his medical degree, he did an internship in surgery at UCLA School of Medicine, between 1995 – 1996. 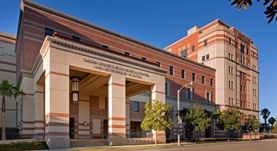 Dr. Reemtsen continued his medical education with a residency in general surgery at UCLA Medical Center between 1996 and 2002 and two fellowships, in Cardiothoracic Surgery at the University of Washington Medical Center between 2002 and 2004 and in cardiothoracic surgery at Great Ormond Street Hospital for Children between 2004 and 2005. He is certified by the American Board in congenital cardiac surgery, thoracic and cardiac surgery and his subspecialty is general cardiac. 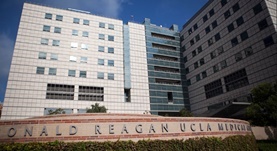 Currently, he works in a few hospitals in the area, being affiliated with Ronald Reagan UCLA Medical Center and Santa Monica UCLA Medical Center. He has published many articles in cooperation with other doctors. Dr. Brian Reemtsen has contributed to 3 publications. Effects of acute kidney injury and chronic hypoxemia on fibroblast growth factor 23 levels in pediatric cardiac surgery patients. Hanudel, M. R.,Wesseling-Perry, K.,Gales, B.,Ramos, G.,Campbell, V.,Ethridge, K.,Scotti, M.,Elashoff, D. A.,Alejos, J.,Reemtsen, B.,Salusky, I. B.; Pediatr. Nephrol.. 2015 Nov 04. A novel surgical approach to left main coronary artery giant aneurysm thrombosis in a child with a history of Kawasaki disease. Pruetz, J.D., Takahashi, M., Reemtsen, B.L., Starnes, V.A. ; J Thorac Cardiovasc Surg. 2009 Apr. Right ventricular exclusion procedure with total cavopulmonary connection: an alternative operative approach in adults with severe Ebstein anomaly. Polimenakos, A.C., Reemtsen, B.L., Wells, W.J., Starnes, V.A. ; J Thorac Cardiovasc Surg. 2008 May.